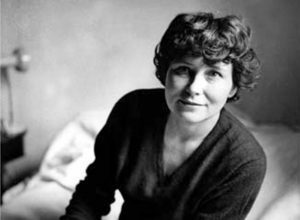 Doris Lessing, British-Zimbabwean author, was born today in history, October 22nd, 1919. Queen Elizabeth II (Elizabeth Alexandra Mary; born 21 April 1926) is, and has been since her accession in 1952, Queen of the United Kingdom, Canada, Australia, and New Zealand, and Head of the Commonwealth. She is also Queen of 12 countries that have become independent since her accession: Jamaica, Barbados, the Bahamas, Grenada, Papua New Guinea, Solomon Islands,Tuvalu, Saint Lucia, Saint Vincent and the Grenadines, Belize, Antigua and Barbuda, and Saint Kitts and Nevis. Elizabeth was born in London to the Duke and Duchess of York, later King George VI and Queen Elizabeth, and was the elder of their two daughters. She was educated privately at home. Her father acceded to the throne on the abdication of his brother Edward VIII in 1936, from which time she was the heir presumptive. She began to undertake public duties during World War II, serving in theAuxiliary Territorial Service. In 1947, she married Philip, Duke of Edinburgh, with whom she has four children: Charles, Anne,Andrew, and Edward. Times of personal significance have included the births and marriages of her children, grandchildren and great grandchildren, her coronation in 1953, and the celebration of milestones such as her Silver, Golden and Diamond Jubilees in 1977, 2002, and 2012, respectively. Moments of sadness for her include the death of her father, aged 56; the assassination of Prince Philip’s uncle, Lord Mountbatten; the breakdown of her children’s marriages in 1992 (her annus horribilis); the death in 1997 of her son’s former wife,Diana, Princess of Wales; and the deaths of her mother and sister in 2002. Elizabeth has occasionally faced republican sentiments and severe press criticism of the royal family, but support for the monarchy and her personal popularity remain high. Christina Stead (17 July 1902 – 31 March 1983) was an Australian novelist and short-story writer acclaimed for her satirical wit and penetrating psychological characterisations. She was born in the Sydney suburb of Rockdale, New South Wales, and died at Balmain Hospital, Sydney.